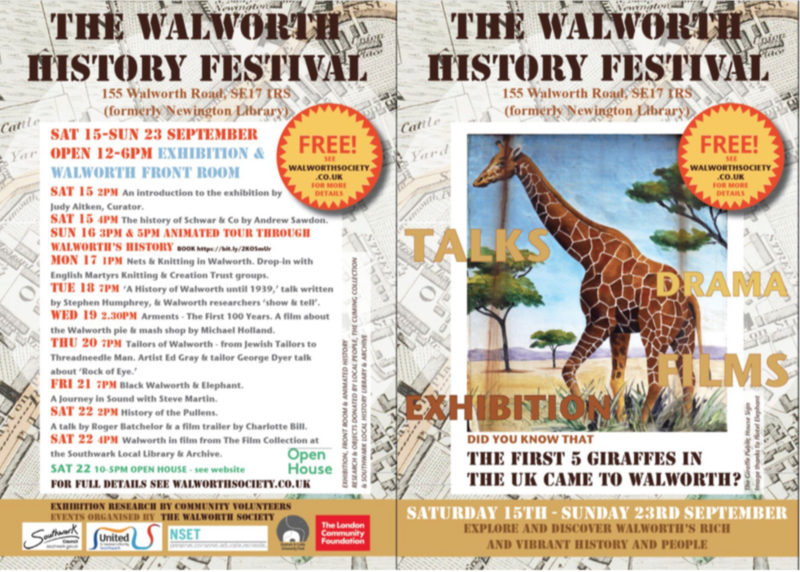 The Walworth History Festival takes place from Saturday 15th to Sunday 23 September, celebrating the history of the area. The festival includes talks, films, drama and exhibitions. This is an animated tour through the history of Walworth using the research from community volunteers as part of the Walworth History Festival. The tour is FREE and will bring you on a journey with actors animating the social, political and physical changes we have seen with our vibrant and multicultural community. Come and journey through your community and find out some interesting facts in a new and interesting way. Book your tickets early to avoid disappointment and please look around the amazing exhibition or get involved in any of the other amazing week of activity for the festival, including: talks, films, music, Front Room and an Open House of the building on the second weekend of the festival. Take part in your festival and volunteer with the exhibition or other events. To book a place click here.